Should You Increase Employee’s Salary Each Year? The beginning of the year is a time when CEOs and managerial staff are finalizing and approving the budget. For your employees, they are looking forward to the new year, and looking for ways to advance in their careers. Many employees are hoping to get a salary increment for their efforts over the past year, as well as help cater for the rising cost of living. In regards to The Employment Act, there’s no requirement to increase salaries yearly. It is, however, an expectation by many employees. Since money is a delicate matter in all companies, here are a few guidelines to help you navigate salary increment issues. 1. Is it a legal requirement? As mentioned above, a yearly salary increment is not a requirement in The Employment Act. It is, however, an expectation by many employees, and a rising trend for companies. If the company registered growth in the previous year, most employees will expect the same to reflect on their payslip. 2. Who qualifies for a pay rise? While every company is different, each industry can establish guidelines to govern the salary increment process. A great policy is establishing an effective performance management system. Should everyone get a pay rise? If some employees get an increment, what message will be perceived by the rest of your employees? One of the ways to determine who qualifies to get a pay rise and who doesn’t, is to have a look at the key performance indicators set for each employee. The KPIs can be examined during the appraisal period, and that will guide you to who is working towards the growth of the company, and who is not. Subsequently, this can help you make a decision of whether everyone gets a rise or just those who performed exceptionally. Whichever approach you decide to take, ensure you clearly communicate your decision to your employees, and how you arrived at the decision. This will work towards eliminating any thought of management bias or favoritism. What happens after you increase your employees pay? Will the business suffer? As a CEO, you have to consider both the big picture and the immediate outcome. If the company has grown and can adequately handle a pay rise, then you should consider it. If the pay rise is going to hurt the business, you cannot make the sacrifice to increase the pay and run the business to the ground. You also need to consider the budget. Is the pay rise catered for in the budget? The budget pretty much covers every expenditure in the business. If the pay increase has not been allocated in the budget, you will have to forego and consider adding it to the budget in the coming year. Are there other ways to reward your employees? A pay rise is only one of many ways of recognizing your employee’s efforts. You can consider other methods such as commissions and gift vouchers to recognize your worker’s efforts. These methods are especially effective when you want to reward individual efforts. 4. What factors should guide the pay rise? Looking at set KPIs – During appraisals, you’ll be able to clearly see which employee is performing as per the indicated parameters and who isn’t. If there is a department finding it hard to achieve their KPIs, you may consider hiring a trainer for the department e.g. a sales training workshop for your marketing and sales team. Performance management – How well is each department performing? Are they contributing to the growth of the company? Could the teams be better in their deliverables? 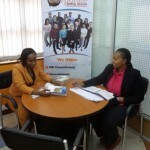 If so, you can contact our General Manager, Ms. Muthoni Ndegwa at muthoni@corporatestaffing.co.ke and she will inform you further regarding our performance management system that will help you set KPIs for your employees, increase customer satisfaction and feedback, and help you retain employees. At the end of the day, the decision lies with you. You need to consider the bigger picture and general vision of the company. At the same time, you should also consider remunerating your staff according to their individualized performance and also account for the inflation level and standard of living.